If someone were to ask me the proverbial question, “Can you go home again?” I would kindly reply, “Why yes.” But the real questions are home the same once you get there and are you the same person that left? 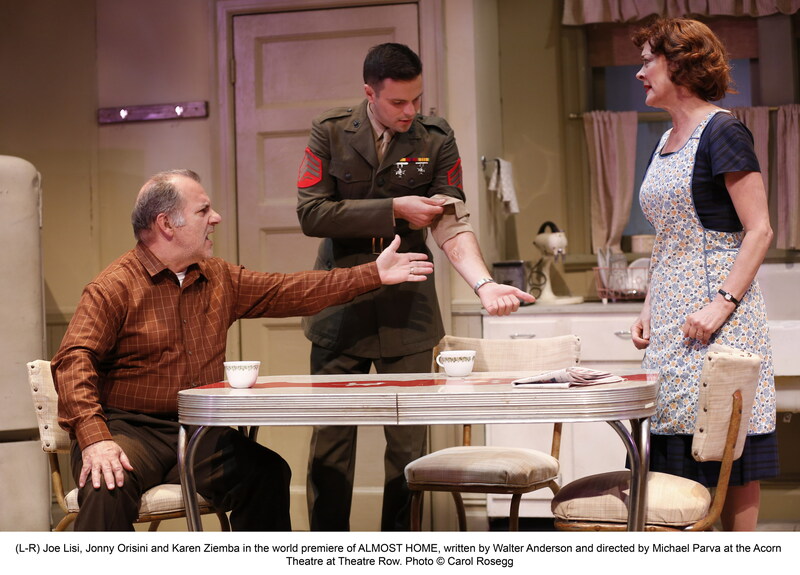 These themes are skillfully explored in Walter Anderson’s Almost Home, currently playing at the Acorn Theatre at Theatre Row, located at 410 42nd Street. Almost Home centers on Johnny Barnett, played by Jonny Orsini, a young marine returning home from Vietnam to his parents’ Bronx apartment. No longer the good kid with a street edge, Jonny has trouble with coming to terms with events that happened in combat and his participation in it. It is a parallel journey that has plagued his troubled, alcoholic father who served in World War II. Uncertain about his future, Johnny has three roads he could take. The first, accept the Marines offer to become a drill instructor. The second is to go to college in California and the third is to become an internal affairs cop, an offer presented to him by the local police captain who wants to use Johnny’s hero status to his advantage. But before Johnny can walk down the path of his destiny, he must first grapple with new and old demons that are creating roadblocks, namely his guilt over his best friend’s death in Vietnam, his poor relationship with his father and the police captain who has had his family under his thumb for years. In the end Johnny makes peace with who he is and is free, in more ways than one, to choose the path he wants. Playwright Walter Anderson crafts a sensitive tale about a boy coming into his manhood and creates the perfect balance of grace and the harsh realities of war and street life. 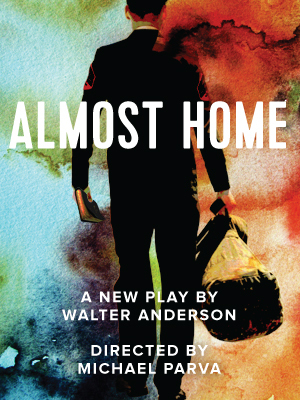 With its autobiographical roots, Almost Home also is a coming home of sorts for Anderson. Before becoming the editor of Parade Magazine for 20 years and the Chairman and CEO of Parade Publications, Anderson, a high school dropout, enlisted in the Marines attaining the rank of sergeant and serving in Vietnam. During his time in the Marines, Anderson earned his GED. Like Johnny, Anderson attended college after his discharge from the Marines attending Westchester Community College and Mercy College. The cast of Almost Home bring you to the edge of your seat. 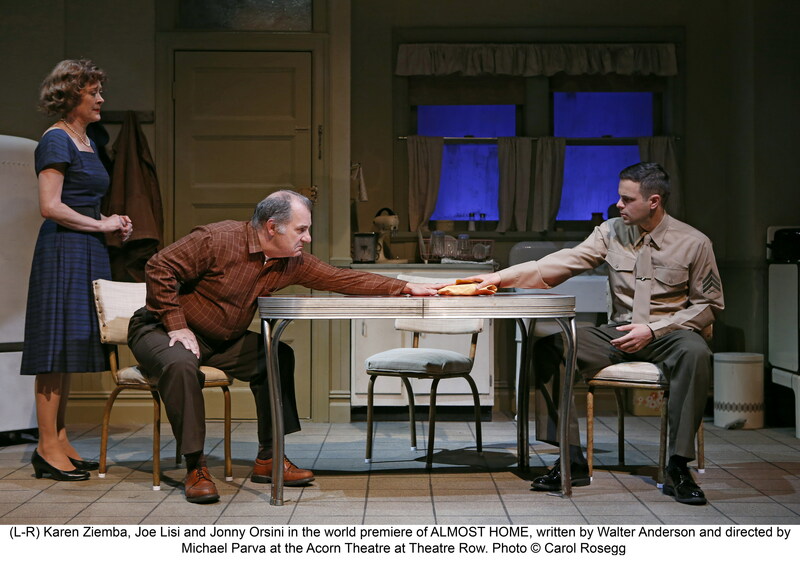 The audience becomes immediately enthralled with the complicated relationships between Johnny and his family and Captain Nick Pappas. Neighbor Luisa Jones, Johnny’s elementary teacher, is a constant ray of hope that circles a cloud steeped in various shades of gray. She, along with his mother, reminds Johnny that he is not limited by his circumstances or his past. Johnny Barnett is played by Jonny Orsini. I became familiar with Orsini when he appeared opposite Nathan Lane in The Nance. I thought he was spectacular in that production and in Almost Home he is equally impressive. James McCaffrey is masterful as the manipulative Nick Pappas. 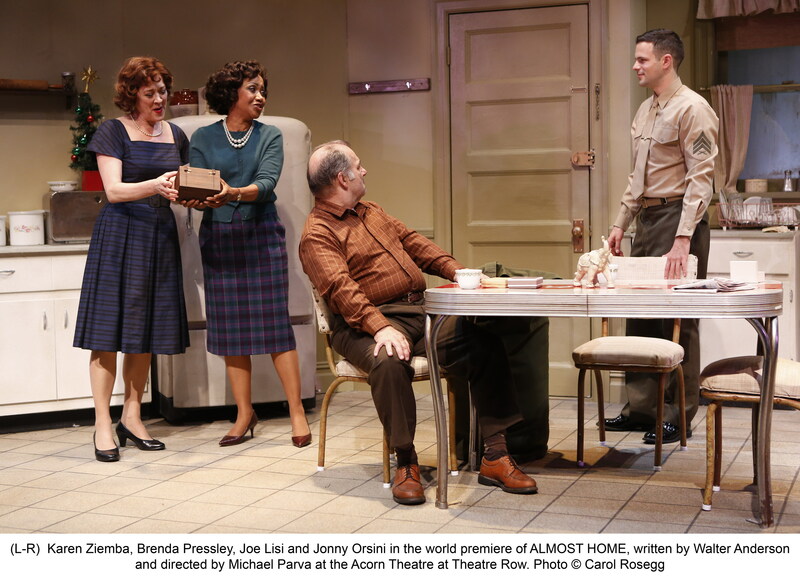 His performance made me want to scream, “Where’s Serpico when you need him!” Karen Ziemba and Joe Lisi bring heart and soul to the roles of Harry and Grace Barnett, and Brenda Pressley shimmers as the sassy teacher with a heart of gold. The tension presented in Almost Home ends on an anticlimactic note, but the subtle ending is more realistic than some puffed out, melodramatic climax. It leaves the audience circling with questions about the future of Jonny and his family and a desire to want to see more, and leaving an audience salivating for more is never a bad thing. If this show was part of the Bronx Bombers’ roster I would venture to say the boys in pinstripes would have no more worries. Almost Home knocks it out of the theater. Anderson’s play is definitely a winner.